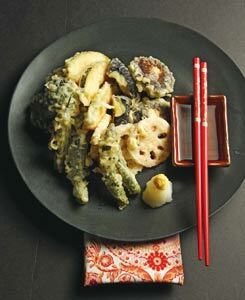 A collection of more than 100 recipes that introduces Japanese comfort food to American home cooks, exploring new ingredients, techniques, and the surprising origins of popular dishes like gyoza and tempura. Move over, sushi. 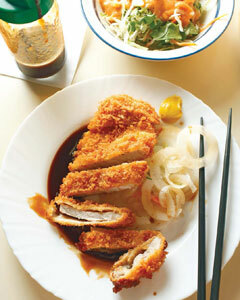 It’s time for gyoza, curry, tonkatsu, and furai. These icons of Japanese comfort food cooking are the hearty, flavor-packed, craveable dishes you’ll find in every kitchen and street corner hole-in-the-wall restaurant in Japan. 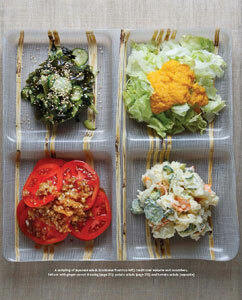 In Japanese Soul Cooking, Tadashi Ono and Harris Salat introduce you to this irresistible, homey style of cooking. 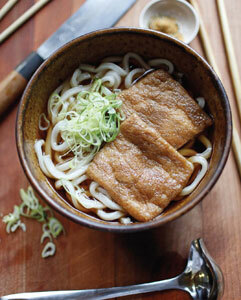 As you explore the range of exciting, satisfying fare, you may recognize some familiar favorites, including ramen, soba, udon, and tempura. Other, lesser known Japanese classics, such as wafu pasta (spaghetti with bold, fragrant toppings like miso meat sauce), tatsuta-age (fried chicken marinated in garlic, ginger, and other Japanese seasonings), and savory omelets with crabmeat and shiitake mushrooms will instantly become standards in your kitchen as well. With foolproof instructions and step-by-step photographs, you’ll soon be knocking out chahan fried rice, mentaiko spaghetti, saikoro steak, and more for friends and family. Ono and Salat’s fascinating exploration of the surprising origins and global influences behind popular dishes is accompanied by rich location photography that captures the energy and essence of this food in everyday life, bringing beloved Japanese comfort food to Western home cooks for the first time. Anonymous on 04/07/2019 at 00:03. Anonymous on 04/07/2019 at 00:06.